Need an Idea? Let us help! Check out these amazing Gay Getaways! Come explore the white sand beaches only minutes away from Santo Domingo! Why not a trip out west for the 4th? A gay stay might be in order in the gay ole town of San Francisco. Unpack your bag at Hotel Diva - a big supporter of San Francisco Gay Pride! Heterofriendly, urban, trendy and fun! Searching for a gay holiday? This is the vacation for you! Located in Zona Colonial, we are the first city of America! Additionally we also have the first cathedral of the new world! You will get your culture and history as well as your warm beach. Explore the city as it is active 24 hours a day and then come back to our gay owned hotel for some rest and relaxation. The Malecon or George Washington Avenue is only half block from us, where you will find live music every weekend in one of the most fun parks in Santo Domingo. This is only a 5 minute walk from us. Also we are an excellent hotel for your friends as we have a nice roof top terrace with ocean views where we can organize a birthday party and any other celebrations, grill parties and social gatherings! The owner of the property is gay and welcomes you to his hotel for a safe, fun and memorable Holiday. 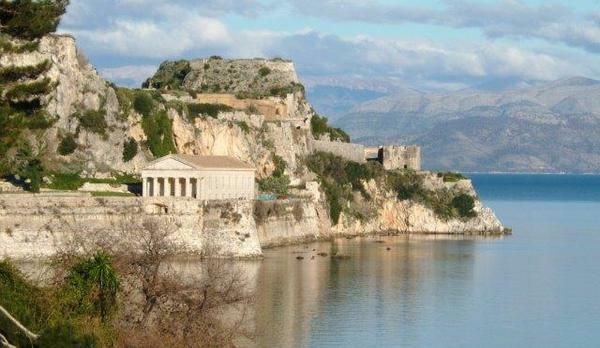 If you happen to be one of those travelers who record every scenic masterpiece on camera, Corfu is the holiday destination for you! The diversity of the island will ensure a surprise around almost every corner. From the rugged rock faces of Paleokastritsa with the azure ocean breaking below, to the sandstone formations of Sidari and the Canal díAmour, the quaint fishing villages of Kassiopi and Benitses or the delightful, picturesque mountain villages of Chlomos, Agios Dimitris and Agios Matheos, your camera will be clicking furiously. 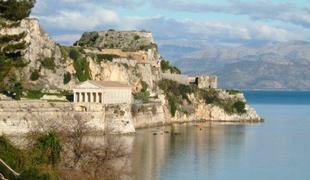 Then there are the beaches with the fabulous tavernas overlooking the turquoise waters. Choose from Boukari, Benitses, Afionas, Arillas, Kalami or Prasoudi to name but a few. Animal Lovers should not miss getting up close and personal with the darling donkeys at Corfu Donkey Rescue. They really enjoy posing for photos, being fed an apple (take your own),getting a pat, receiving a donation or even being adopted. Experience the local wineries and island speciality, the Kumquat liqueur, or idle through the olive wood shops and potteries and admire the artisans exemplary skills. Visit any of the forts, the Old Fort, New Fort, or Angelocastro and admire the amazing views from the elevated positions. Take a walk back in time and wander through the 13th Century Gardiki Castle or the 11th Century church of St Jason and Sossipater. Stroll through the shady gardens of the Mon Repos Palace; birthplace of Prince Philip, the Palace of St Michael and St George; now home to the Asiatic Art Museum or the Achilleion Palace; utilized as the casino and balcony shoot in the Roger Moores James Bond movie For your eyes only. It was built as a summer retreat for Empress Elizabeth (Sissi) and Emperor Frans Josef (1837 ñ 1898) and later purchased by King Wilhelm 2 (1907). Museums are abundant; the Archeological, Byzantine, Paper Money, Shell, Music, Serbian, Sinerades Folklore, Solomos, Asiatic Art and Casa Parlante, to mention but a few. The Monastery of Virgin Mary at Paleokastritsa has views to die for and the Vlacherna and Mouse Island (Pontikonisi) monasteries should be on the photographic enthusiasts to do list. Make sure your camera has a large memory card! With a Walk of Fame at the entrance, the ultra-mod Hotel Diva is near the cities high-fashion shopping, dining, and theater of Union Square. This chic hotel with a steel-and-glass exterior is across the street from the American Conservatory Theater, next to a Starbucks and 2 blocks from the upscale shops of Union Square. 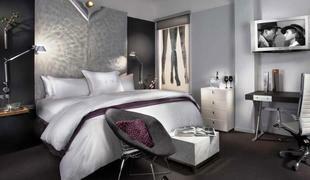 Ultramodern, minimalist rooms and suites feature beds with goose-down duvets and designer toiletries. All come with free Wi-Fi, flat-screen TVs and fridges. Faithful to the concept and style of Axel-design, comfortable, cosmopolitan atmosphere and good value for price. The 105 rooms combine the touch of decoration from Modernism with the warmth and elegance of the Mediterranean. The beautiful spaces at Axel Hotel Barcelona, have become it the urban meeting point of the heterofriendly and trendy LGBTI scene in the city, offering a unique atmosphere with an environment full of design elements. What are you waiting for? Bring your friends, your spouse or just come to meet other gay people in sunny Barcelona. MyGayGetaway.com loves planning our own stays at Axel Hotel. We know you will too. Go have fun! PRIDE Family Bingo originated in 2005 at Hamburger Mary’s Las Vegas as a monthly fundraiser to help build the general fund for the Las Vegas PRIDE Festival. With the help of Hamburger Mary’s owner’s Andy Barret and James Healey, BINGO Chairman Ernie Yuen and the entire Las Vegas PRIDE Board helped the PRIDE Family BINGO event grow to become one of the most popular monthly LGBT community events in Las Vegas. Hosted by many community entertainers like Mary’s Michelle Holiday, people looked forward to the monthly gathering, fun themes, great prizes and drink specials. Everyone had a great time and looked forward to the next month’s event. Bingo events were put on hold when Hamburger Mary’s closed until a new home could be located. 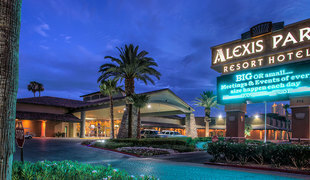 Beginning in February of 2015 Las Vegas PRIDE Family Bingo had a new home on the first Wednesday of every month at the beautiful Alexis Park All-Suite Resort. Attendees are invited to come early for our signature “SNAPI Hour” at the the Pegasus Lounge from 6-7pm with great food and beverage specials. Bingo begins promptly at 7pm so don’t be late. With our new location, we are also excited to be able to welcome families and youth back to the event. We are continuing to have our favorites like “shots when O-69 is called”, some of the old Bingo Games and great raffle prizes. Please be careful when calling out “BINGO” as Chubby Bunny is here to stay. Join Las Vegas PRIDE at the wonderful Alexis Park All-Suite Resort at 375 E Harmon Ave, Las Vegas, NV 89169 for what promises to be a wild and crazy night. Las Vegas PRIDE Family Bingo begins at 6:30 p.m. on the first Wednesday of every month. Bingo will be held in the “Athena Ballroom” room. Bingo packets (11 games including cover all) are $10 at the door. Raffle tickets are 10 for $5.00. AxelBeach Maspalomas - Apartments & Lounge Club offers you the best experience and fun on the island with the best atmosphere, facilities and leisure in order you can enjoy the best holidays, both day and night. Located in Playa del Inglés, just 1.5 km from the sea, AxelBeach Maspalomas has 92 modern apartments, distributed over 4 floors and perfectly equipped to provide the maximum comfort. The complex, for adults only, has also several leisure areas conceived and designed exclusively for you to feel the Axel cool atmosphere and the most cosmopolitan meeting point on the island. AxelBeach Maspalomas has 92 modern apartments with a warm design, large and bright, especially designed to offer the maximum quality and comfort during your stay. All the apartments are well equipped and have a wide living/dining room with kitchenette, bathroom, double bedroom, and a pleasant terrace with the outside views from which you can observe and to be seen. 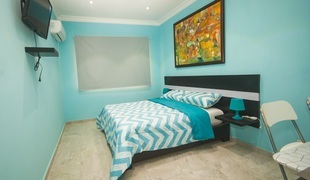 The kitchen is equipped with microwave, fridge, kettle, Toaster, coffee maker, and the apartment has also a sofa bed in case you may receive visits, plasma TV, air conditioning and safety deposit box. Maspalomas means soft and warm temperatures; A beach named after the town more than 5,600 meters long. Every year visitors from abroad come to AxelBeach Maspalomas to enjoy the marvels of the island and its facilities. ©2013-2018 MyGayGetaway - Stays4Gays, Inc.